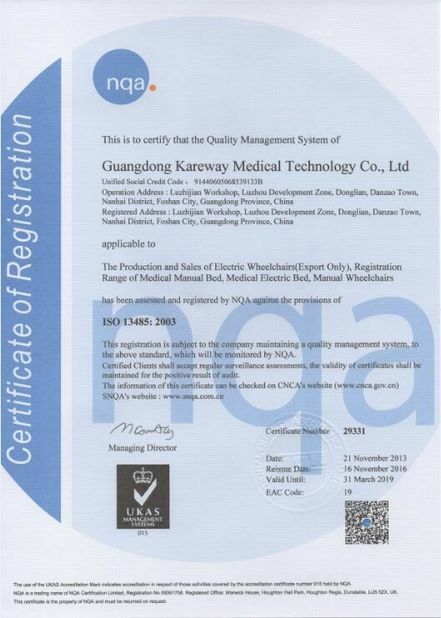 Quality Control - Guangdong Kareway Medical Technology Co., Ltd.
We pay a lot of attention to quality inspection, we have The excellent and comprehensive inspection laboratory procedures Standardization. 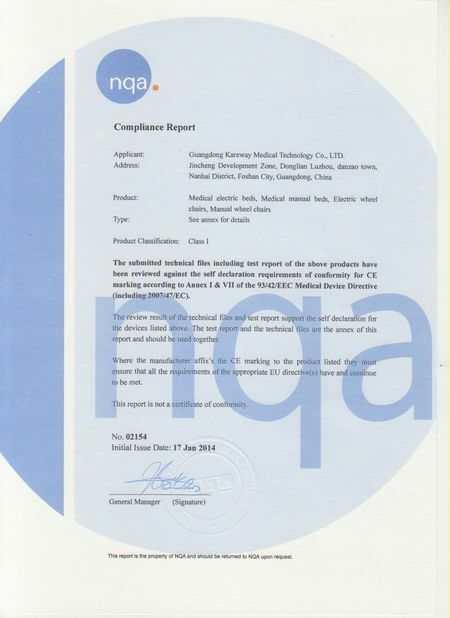 QC Inspector were placed at each stage in the entire Produce. 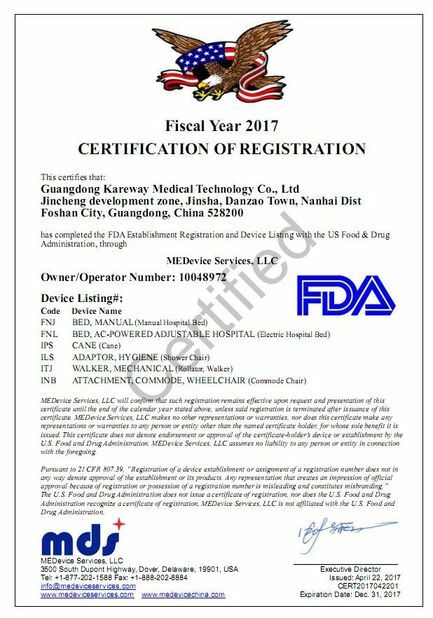 From raw materials to finished products, we are in accordance with the European Union and the United States to perform rigorous testing standards. Metal surface treatment, we finished random samples and In the "sodium chloride spray test machine" to test rust & Corrosion resistance of metal parts and ensure that rust's life Large-span. To ensure that the coating quality, we use "metal surface scratches Checker "and" metal surface impact testing machine "on the strict inspection The workpiece, and put them in a high-magnification glass to check Problem resolution and wrinkles, and ensure that the bed for a long time And no paint. We use "electric bed test platform" rigorous testing Actuator tests on each shipment of imported and the life of the actuator Loading lifting up and down more than 15,000 times. Meanwhile, we continue to 100% full load test electric bed. 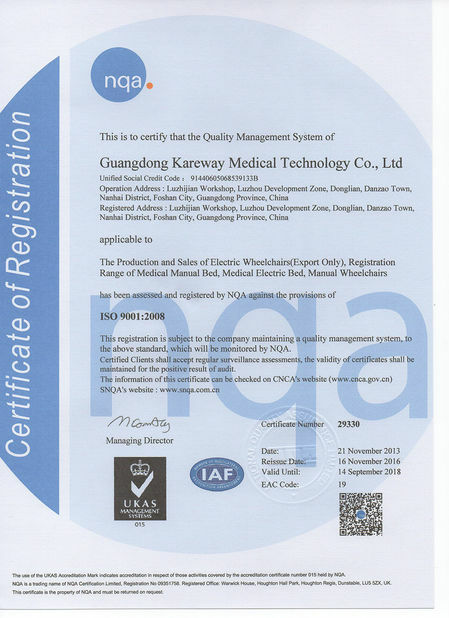 In order to ensure product safety, we make a strict test subsystem According to European Union standards by the durable resistance and voltage Tester.